This round table session was attended by eight active writers of fiction, some published, others mid-novel or polishing off manuscripts for submission to agents and publication houses. Presented here is a sampling of the lively Q&A exchange. It is our hope that readers will recognize some of their own challenges and benefit from the discussion. 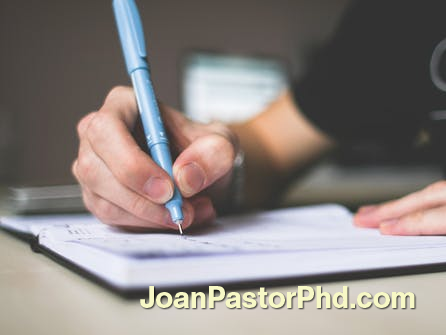 Dr. Joan Pastor, who counsels writers and other artists individually and in groups, encouraged participants to freely discuss personal deterrents to their writing process. Most of the problems, as you will see, are common to writers at one time or another. This is a good place to start, because it is the writer’s most common problem. It actually means different things to different people. For some it means sitting in front of a blank page. But there’s another type of block: the inability to even get to the computer. [toggle title=”My worst problem is coming up with a plot at all. A truly original story. I have no problem with characters, dialogue, scenes. It’s the overall story that sometimes is hard to grasp.-“]Generally, my advice to writers with this problem is that they need to get out of their comfort zone. In other words, get out of your head and into the world. This is a hard one for writers, but it is why many writers travel to exotic locations and experience them first hand. Not just to absorb the location, which is invaluable, but to have adventures.